Are your current self-storage costs just too high? Have you had yet another price rise? Did you know there is a unique, low-cost and hassle-free alternative? We guarantee to be cheaper than your current self-storage provider. Our experienced 2-man teams collect your items from your current storage facility and transport them in our satellite tracked vehicles to one of our secure storage units. Your storage rate is guaranteed to remain the same for any storage period up to 5 years. No deposit and no large advance payment are required to benefit from this exceptional service, just your regular monthly payment. So don’t put up with high prices and unexpected price hikes. There is a better way – reduce self storage costs with Storing.com. For many people, renting a storage unit can be an expensive move, both for business and personal users. The price can be even higher if you live in cities like London, where there is a large demand for storage space but it comes at a premium. When it comes to renting a storage unit there are several ways you can cut costs, but the main one you should take a look at is the Move and Save deal offered by Storing.com. At Storing.com we are completely dedicated both to you as a valued customer, and keeping the costs of your self-storage low, so you won’t have to deal with the stress of high prices and lack of services. Have a look at who we are, what we stand for, and the services we offer. Plus, we have our excellent Move and Save offer, and that might just have you thinking about switching to a company that cannot only offer you fantastic prices, but also a range of extras and excellent security that rivals even the more expensive facilities. Founded in 1999, although we have a big brand we are still a family business that strives to bring you the best deals combined with fantastic customer service. We have thoroughly researched the best methods for managing storage spaces and providing self-storage facilities to customers. 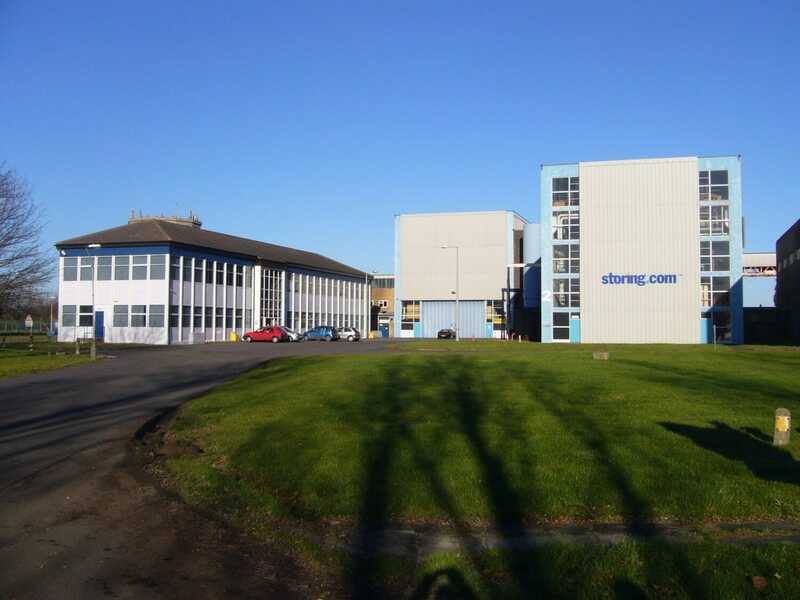 We are an experienced company that is run by people that care, we are able to keep up with the high customer demands that storage companies are subjected to while also maintaining a secure facility at an incredibly reasonable price. When it comes to Storing.com, your satisfaction and the safety of your unit are our top priorities. Our storage facilities are incredibly easy to access, even from London and surrounding areas. We run a daily and regular collection/delivery service to save you time, money and hassle. On top of this, the service uses our very own trucks with a professionally trained team of two men ready to help if you need it. Our vehicles are satellite tracked for your peace of mind and the security of your items, before being delivered either to your requested location or to our high security facilities. We have so much more than this to offer you as well, details of why you should choose us can be found here and elsewhere on our website. We offer a range of services that many other facilities don’t because having everything in one place is so much easier and less stressful than having it spread out. Hassle free is what we do. Why Consider Moving to a Different Self Storage Facility? Take a look at our special offer below to see just how true this is. You may have found yourself sitting at your desk and thinking about the high costs of your storage unit, or maybe even stressing over a recent increase in price that caught you by surprise. What we offer is a unique, low cost, and hassle free alternative. Our Move and Save offer is here to help you out. Starting off with the price, we are completely guaranteed to be cheaper than your current storage provider. Just give us a call to discuss the price of a unit with us and you will see just how reasonable our prices can be. Plus, you won’t receive any unexpected price increases from us. When you rent a unit from Storing.com your rate is guaranteed to remain the same for up to five years. We respect you as a customer, and that’s why we treat our customers as a long term relationship. We don’t ask for a deposit, just 4 weeks in advance. All we ask is that you pay your rental charge each month. You’ll still benefit from all of our services, there are no exceptions to this. We don’t believe in deposits or compulsory insurance, just the monthly payment you were budgeted for. When it comes to our wonderful collection service, we provide it to our customers free of charge for London and the surrounding areas on a six month storage period (please read the specific details here) so that you don’t need to worry about the extra costs. To save you some time, our trained and superbly helpful team of two are always on hand to assist you if needed. They will load everything up for you, which is ideal if you are a little pressed for time. There is absolutely no catch to this fantastic Move and Save offer. We’re here to help you, and your satisfaction and experience mean everything to us. We understand the financial strain that renting a unit can cause, especially in cities like London. That is why we strive to provide a service that is not only cheaper, but also one that provides an excellent level of security and customer service. You don’t need to put up with poor treatment and unexpected price hikes when you switch to us. When it comes to our Move and Save offer, all sorts of individuals and businesses can benefit. If you are a business owner, then it is the perfect opportunity to take advantage of our fantastic delivery and collection service. This is especially useful if you want to keep most or all of your stock in one of our secure units. That way, when you need a delivery to your office, you only need to give us a call and we will slot you in as soon as possible. It’s great if you are London based as well, because you don’t need to travel to your unit. So even if it’s a unit you like to access regularly, you can still benefit from our additional services. If you are moving house or just need more space, then this is the perfect opportunity for you to store your possessions and furniture at a reasonable price. Again, our delivery and collection service is there for you should you need it, so you can let go of some of the stress that comes with moving. It can also save costs as well, as hiring a moving van and men to help carry the items can turn out to be incredibly costly. Even if you are just renting the storage unit for personal use you can benefit from our Move and Save offer. For one, the fact that the price won’t change for up to five years allows you to feel a little relief and security, as you know exactly how much you will be paying each month. You won’t feel the worry of waiting for a potential letter informing you of price increases, and you can still use our reliable collection and delivery service as and when you need it. After all, we are here for you and your benefit. You may be reading this article because you are considering a storage unit, but you’re not entirely sure if you need one. First of all, the amazing Move and Save offer still applies – all of the great benefits that have been listed are just as valid for those who are completely new to self-storage. So if you are considering a unit, then make sure we go to the top of your list when it comes to making an enquiry. If you aren’t sure about self-storage, then take a couple of these thoughts into consideration when you go to decide. If you own a business and work from home or a small office, you might want to think about where you are going to store your stock. Many small offices don’t have the room for people to work and stock to be stored, and this is where a storage unit comes in handy. It can save you a lot of space, and our transport services make everything easier. If your home is too small for all of your possessions and things are starting to get a little cluttered, a unit can come in really handy – especially if you don’t want to get rid of any of your items. It is a great place for you to store odds and ends as well as items that you only need seasonally or the extra bric-a-brac around the home. Plus, if you don’t need regular weekly access to the space, the low cost becomes even more beneficial. When you are considering self-storage, remember that we ensure everything is fully secure and that our security is always working to its maximum capacity. Your possessions are as important to us as they are to you. We make them and you our number one priority. We’ve mentioned our excellent security already, especially with regards to the Move and Save offer. However, it is important that you know exactly what kind of security levels we are offering you and the services we provide. Here’s what we have in place for your security, and that of the items you store. Satellite tracking. Our fleet of trucks and vans have their satellite tracking systems report their location to us every 60 seconds, so we always know where they are and if they are on the correct course. Electric fencing. Our electrified fencing covers the entire perimeter of the facility and it is doubled up with the use of security barriers. This physical deterrent is there to help protect your belongings while they are with us. CCTV and guard patrols. Our motion activated CCTV systems cover the entire facility and record in real time and out of hours, so nothing is missed. In addition to this, our highly trained guards patrol 24/7 to ensure we are as secure as possible. Red Care. This is a sophisticated and reliable alarm system that we have installed at our facility. It is directly linked to a control centre, guaranteeing a fast police response time. It’s a powerful and effective deterrent. Personal storage unit entry. Larger units can only be accessed by swipe card entry, for the protection of your goods and items. For smaller units, there are individual seals and serial numbers recorded on our systems. So when you move to our storage facilities, you are not only saving money, but you are also gaining our superb and well-staffed security services. Safety and security are one of our top priorities. On top of this, we also offer a number of insurance options if required for your unit and the goods inside them. Further details with regards to these are available here. So if you are storing items of value or just need limited liability insurance, we are here to help you out and take you through the plans on offer. As an extra plus for business and personal customers, we also offer a document storage service at our facility. Offices and homes can become easily cluttered and filled with important documents that end up getting lost in all the clutter. With our Archive Storage solutions, all of your business documents can be kept safely with us under lock and key. We even offer a digital service where we can turn your physical documents into digital ones, saving storage space and keeping everything more organised. We also offer a retrieval, delivery and collection service for them as well, so you don’t need to worry about taking time out of your busy day. Our services also include secure destruction if required, so you don’t need to be concerned about personal information being left behind. Plus, we have a range of storage methods for your documents so you can ensure that the boxes are kept in the correct order and easily retrieved. With controlled access to documentation and the same levels of security as the rest of our facility, you can rest assured that your paperwork is in good hands. We really are a managed storage facility. Whether you are a business or personal customer, our document storage service will ensure that you keep your documents tidy and never end up unorganised again. Additionally, if you need any assistance, our staff are always here to help you get organised. As a little side note, we also have a service that offers you the opportunity to purchase packaging from our website. We use incredibly sturdy and strong cardboard boxes, so they are definitely going to hold your items securely and without risk of breaking due to flimsy quality. When you move to one of our units you may be in need of quality packaging so we offer an excellent range of packaging solutions at affordable prices. When you are searching for a new unit, or moving from one to the other, it’s always a good idea to get a range of prices to see if you can reduce self storage costs. This is why we are so supportive of the comparison site ComparingStorage.com and are happy to be on their website. It allows you to search for what you need and gather results that not only show you the cheapest prices, but also display what those prices include. For monthly costs that are as low as ours, for example, you are unlikely to get many extras from the majority of companies. The comparison feature shows you exactly what you’ll get and how much you need to pay for the basic unit and anything else you might want to include. It’s a wise move to make if you are either new to the concept of self-storage, or looking for somewhere that not only offers a better price, but maybe also a fixed rate – so you can avoid those unexpected price increases. Guaranteed to be cheaper. We know that we can offer a better and lower price than your current storage provider. Call us for free to find out just how low our costs can be and how you can reduce self storage costs. No price hitches. With Storing.com, you know that the monthly price you pay is going to stay low for up to five years. No dreading potential letters that state a price increase. No deposits or compulsory insurance payments. All you need to pay us are your monthly storage fees. We don’t expect any form of deposit. So you can get started at the price you found. Free collection services. Our secure and tracked vehicles are here to provide you with a fantastic service in order to save you time and money. Our drivers are reliable, and there’s even a two-man team on offer if you need them. State of the Art Security. We offer state of the art security systems so that you can sleep easy knowing your goods are safe with us and our highly trained team of professional security guards. Plus, we offer fantastic customer service and have several decades’ worth of experience in the storage and logistics industry. When you leave your items with us, they become as important to us as they are to you. We are here to provide you with a fantastic service and make sure your possessions are taken care of. It is particularly true that if you live in London then you are likely to be paying a high price for a storage unit, especially if you own a business or live in a flat/home that is a little too small for your all your worldly possessions. Of course, it is often convenient to have a unit in the city, but if you do not need to visit it every day, you should question whether or not it is worth the price. After all, you can reduce self storage costs by using a facility like ours that can offer you the same size space but at a much lower monthly rate. Storing.com is one of these places. It’s easy to access from London and the surrounding areas, and we are guaranteed to be cheaper than your current provider. We may not be right in the city, but if you need anything from stock to personal items from your unit, our team of dedicated drivers and porters will be there to deliver them to you. We know that transport can be an issue, and that is why we implement helpful services like these. If you move to our facility, you are sure to save a decent amount of money in terms of rental fees and our experience is one of the things that makes us so successful. We know what you need and how to properly equip a storage facility to meet the high demands of those in need of their services. Plus, with our fantastic security system, your goods have never been so safe. With our Move and Save service, you are sure to have a smooth and hassle free experience, as well as saving a lot of money in the process. We’re a storage facility that wants to give you the best for the best possible price. Just look at our reviews and see what our customers have to say. Call free today or get a quote online to see just how great our service and prices are.